It’s that time again! 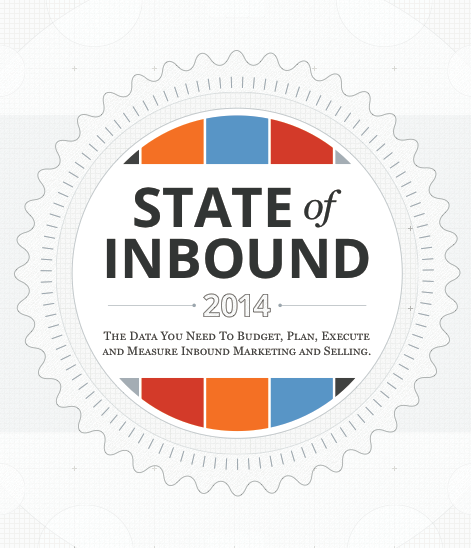 Hubspot has just released its 6th annual State of Inbound report for 2014. The report gives marketers and other company stakeholders valuable insights into how businesses are using inbound and content marketing strategies. This year, more than 3,500 respondents took part, about half of whom were Hubspot partners or customers. A majority of the respondents were marketers, with the remaining being sales professionals. Following are 7 of the key points made in the report. To read the report in its entirety, please visit this download link (registration required). 1. 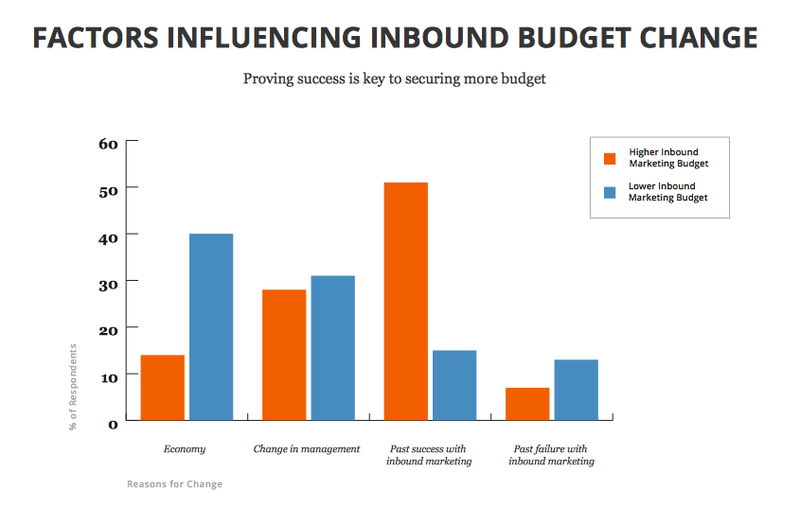 Inbound marketing budgets are up. The report shows that 74% of respondents have the same or increased budgets for inbound marketing this year. This is a great indication that companies are seeing the value of inbound; they’re not just paying lip service, they’re putting their money where their mouth is. Perhaps more interesting even is why many of the remaining companies experienced a decrease in their inbound budget: a failure to prove ROI on their previous year’s efforts. 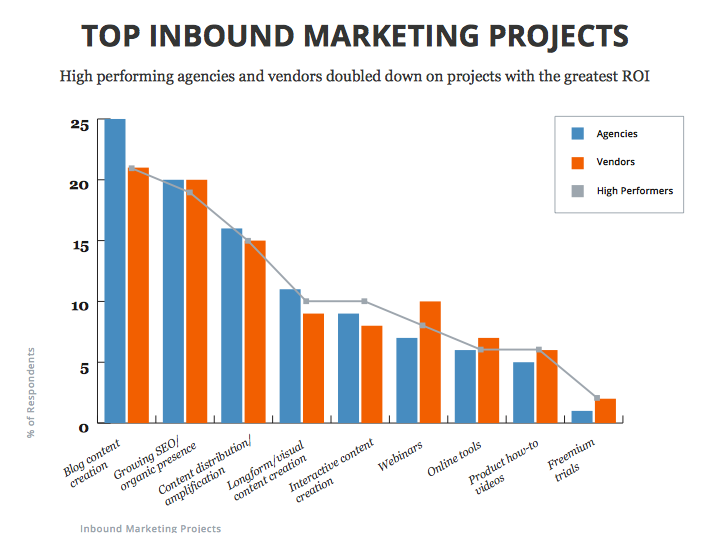 As you can see from the graph above, the top reason businesses gave for increasing their inbound budget was past success with inbound marketing. This was followed by a change in management (and thus perhaps a shift in priorities), the economy, and past failure with inbound marketing. The report states: “Simply put, success – best expressed in terms of return on investment (ROI) – unlocks budget and insulates marketers against economic vagaries. ” This underlines the importance of tracking and monitoring ROI; those who can’t prove past success with inbound are unlikely to receive funds to support their current and future inbound efforts. 2. Inbound is no longer restricted to marketing. We’re so used to hearing the terms ‘inbound’ and ‘inbound marketing’ used synonymously that it’s easy to forget that inbound strategies can be used in many departments within a company. According to the report, more than 25% of sales teams are using inbound strategies, including social media, SEO, email marketing and blogging. In fact, sales professionals are more likely to use inbound techniques than marketers who favour outbound techniques. In other words, in some companies sales teams are more invested in inbound than the marketing department. It’s not only sales departments who are using inbound though: inbound strategies are also being employed in services, recruiting, product development, IT, and even R&D. This underlines the importance of departments working together to ensure consistency and to reduce redundancy when it comes to inbound strategies (for instance, does each department do social media on their own, or should it be centralized? Should each department have their own blog, or should there be a company-wide blog?). 3. Marketers who prioritize blogging are 13x more likely to experience a higher ROI. The study looked at top performers – those who were experiencing a positive ROI – to see what they were doing differently than low performers. They found that these companies were prioritizing efforts to get their content found; this included blogging, organic search and content amplification. Blogging led the pack, however, showing a 13x increase in ROI. 4. Half of marketers report inbound as their #1 lead source. 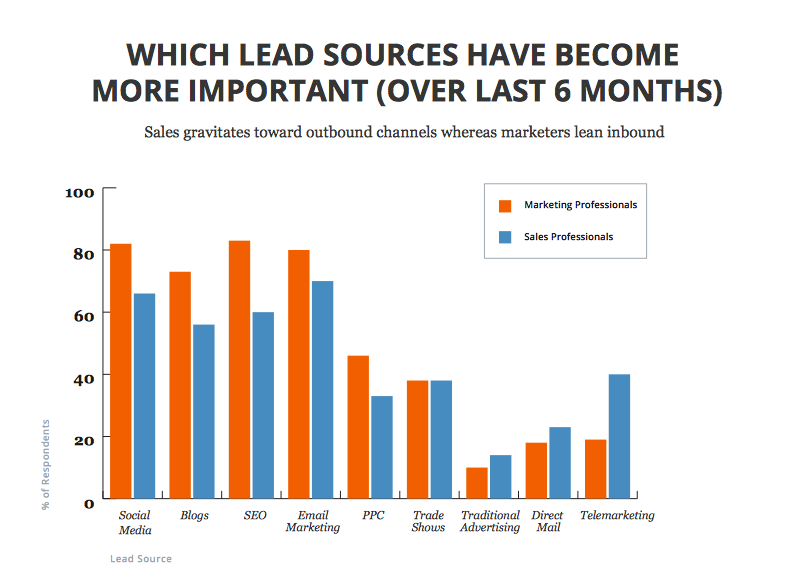 According to all company types – B2B, B2C and nonprofit – inbound trumps outbound, paid media and self-sourced in terms of lead sources. 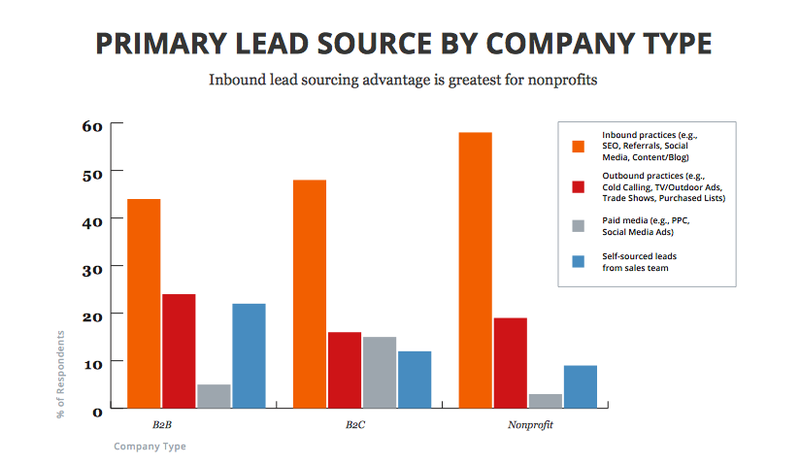 In fact, nonprofits report that 58% of their leads come from inbound. This is perhaps not surprising given that traditional modes of advertising tend to be more expensive, and thus out of the reach of many nonprofits. 5. Proving ROI is still the #1 challenge for marketers. As we saw earlier, the best way to get more funds allocated to inbound is to prove the past performance of inbound strategies; and the best way to prove past success is to show a positive ROI. Yet marketers are struggling, more than ever before, to prove the ROI of marketing activities as a whole. Other challenges marketers face include securing enough budget, managing the website, targeting content for an international audience, and hiring top talent. 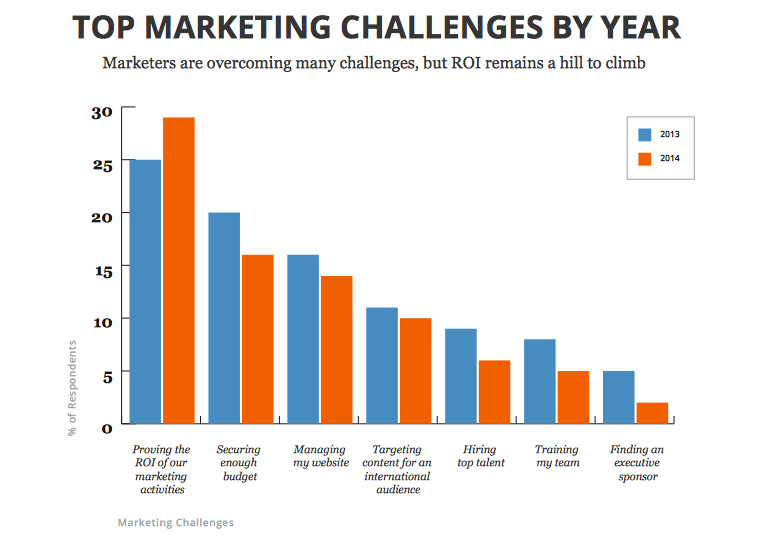 And yet, if we look at the chart above, we see that these challenges have decreased since last year – the only challenge that has actually increased is proving ROI for marketing. The report points out another inconsistency when it comes to ROI: while companies report proving ROI as a top challenge, they also report calculating ROI as a low marketing priority. In fact, increasing leads, reaching the right audience and converting contacts to customers all supercede proving ROI in terms of priorities. 6. High performers report blogging as their highest ROI inbound activity. Not surprisingly, the highest performing companies reported blogging as the activity that resulted in the highest ROI. This was followed by SEO, content distribution, longform, visual and content creation and webinars. As you can see from the graph below, agencies and vendors reported an emphasis on similar projects, with two exceptions: agencies showed a significantly increased emphasis on blogging, while vendors placed slightly more importance on webinars than agencies did. 7. 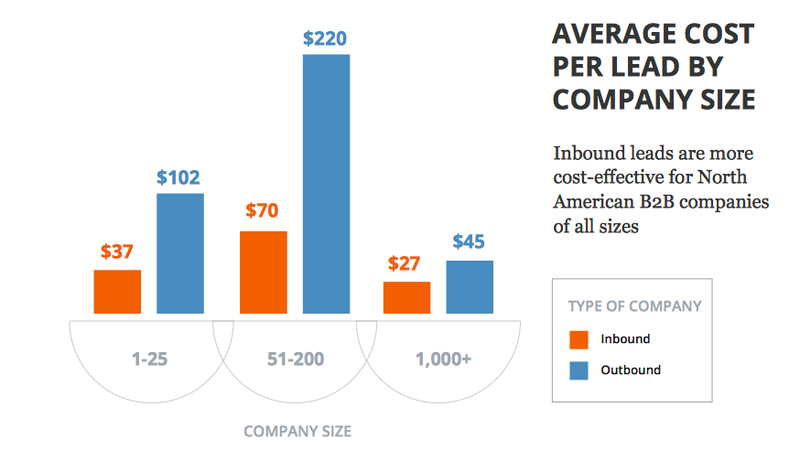 Inbound leads are consistently less expensive than outbound leads for North American B2B companies. Regardless of company size, inbound leads appear to be more cost-effective than outbound leads. 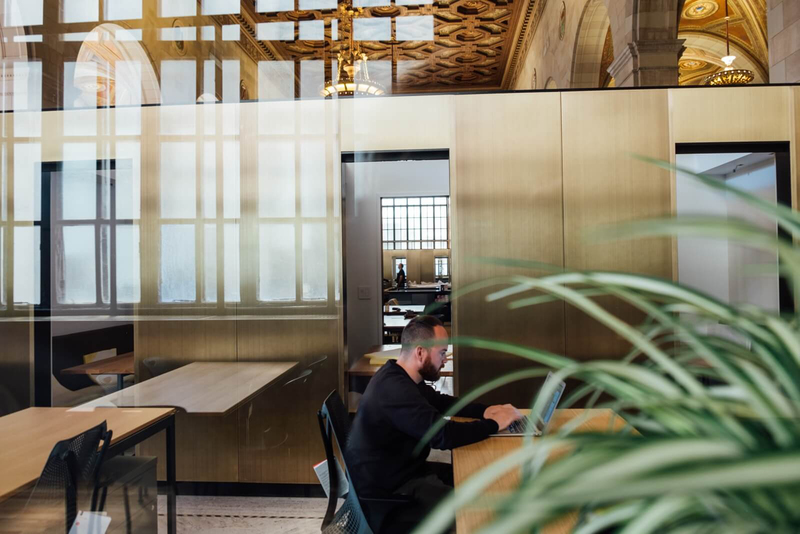 This is particularly true of B2B companies with less than 1000 employees; it appears the costs of inbound and outbound move closer together for companies with 1000+ employees. The annual State of Inbound report is always a good overview of what’s happening among businesses when it comes to inbound strategies and content marketing. Perhaps the most surprising finding for me this year was that inbound is no longer restricted to marketing departments; inbound techniques are now being used company-wide, particularly among sales professionals. I was also pleased – although not surprised – that blog content creation led the pack again this year in terms of ROI. Given that companies with blogs generate 13x higher ROI than those who don’t, it appears that not having a blog is a greater risk than ever before. What surprised you in this report? Does it change your priorities at all when it comes to inbound? Share below!